WEDNESDAY, Jan. 16, 2019 (HealthDay News) — U.S. dermatologists are prescribing fewer antibiotics overall but are writing more short-term orders for the drugs, a new study finds. Dermatologists prescribe more antibiotics per doctor than any other medical specialty — more than 7.1 million prescriptions per year, the University of Pennsylvania researchers said. The drop was significant among patients taking extended courses of antibiotics — down 53 percent over the study period. That includes a 28 percent reduction in antibiotic prescriptions for acne, the study authors said. 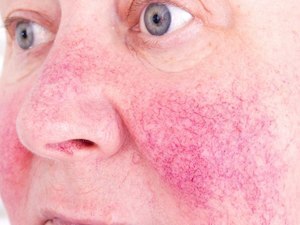 Many dermatological patients, including those taking antibiotics for inflammatory skin conditions such as acne and rosacea, may stay on antibiotics for long periods. That’s an issue, because overuse of antibiotics can lead to reduced effectiveness, the researchers explained. “Overall, our findings are hopefully a sign that we’re making progress, but we need to evaluate how we can optimize the use of antibiotics in dermatologic surgery,” lead study author Dr. John Barbieri said in a university news release. “This may be a sign that treatment guidelines have raised awareness about overuse, though it’s also noteworthy that there are biologic and other alternate treatments that give patients more options than they’ve ever had before,” Barbieri added.